I just had my first ultrasound for this pregnancy today. And… great news! The baby is happy and healthy! While the technician was peering into my womb, the baby flapped its arms and curled around and cuddled with the placenta. In fact, honestly, most of the pictures of Baby weren’t that great, honestly because Baby was much too busy cuddling with the placenta. But, here’s a picture of us anyway! Pregnancy glow is another name for that exhausted look, right? The baby is also bigger and older than I thought! I thought I was about ten weeks pregnant. 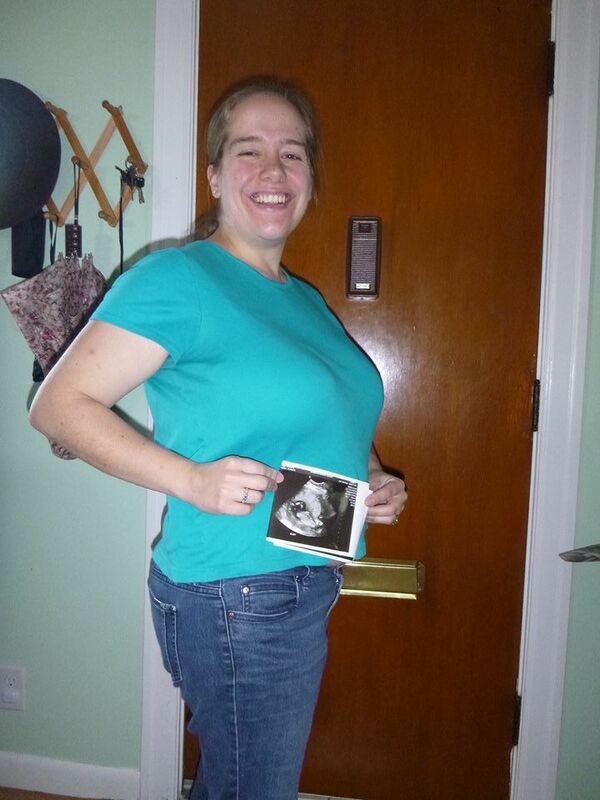 Apparently, I am thirteen weeks pregnant! Which means that I basically didn’t notice that I was pregnant until just a little before my second trimester! Why didn’t I notice I was pregnant before? Well… probably because I was so busy running after my two other children! So, I have them to thank for keeping me on my feet and busy… which, trust me, is a blessing! Anyway, because my thoughts are all aglow with babies, I figured that we should go all the way back to… the Annunciation! 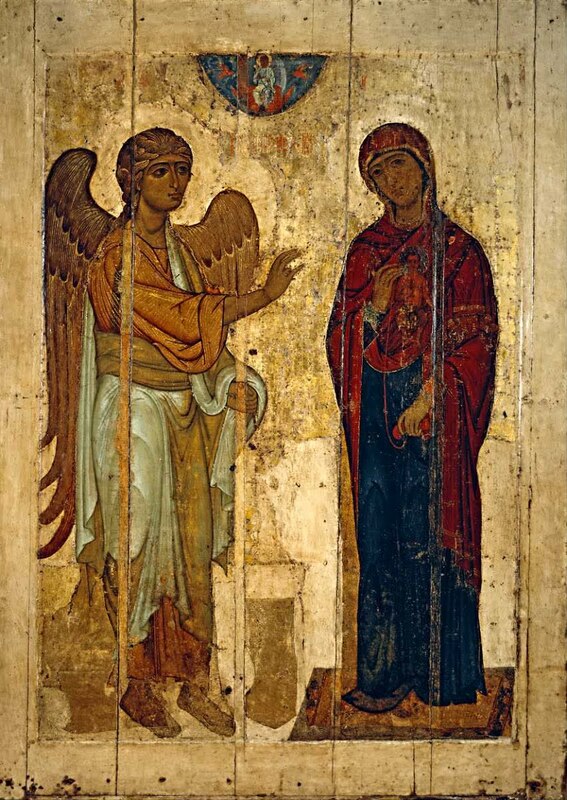 And look at this gorgeous icon of the Annunciation. Ustyug Annuncation, c. 1130-40. The State Tretyakov Gallery, Moscow, Russia. The angel talks with Mary, and lo! As she accepts Jesus, He appears with her! So, just as I put the image of my ultrasound over my body, without really thinking too hard about it, so too the artist put Jesus near Mary. So, at the very moment of Jesus’ conception, He was there with Mary. And I think that is so poignant of an image, because it really stresses the intimacy between the mother-child relationship. Even at the very earliest moments of the child’s life — the moment of conception itself! — the baby is with us mothers. And where is the baby? Well, the obvious answer is the womb. But the real answer? The baby is in our hearts. And that’s exactly where this unknown artist put Jesus — right near Mary’s heart. May we keep You near our hearts always. And may we treat those who come into our lives, especially those whom You bring into our lives, with the same love as we treat You.